Last night's dinner was Oxtails. I love, love oxtails. Since I was going to be out all afternoon, I put the Oxtails on to simmer early in the morning. My favourite way to serve them is over polenta. I don't know why I don't cook polenta more often. It is soooooo gooooood. . Cooked in chicken broth seasoned with minced garlic and and finished off with butter and parmesan cheese. It has been too many years since I have eaten oxtails. I love them so. I really like the polenta idea. Thanks for jarring my brain and tastebuds. Ann, this is one of my mother's very favorite dishes- polenta is a staple here. Gorgeous! I've never had oxtails, but that looks like one fantastic dish! Love the polenta. What a beautiful meal! Thanks Ann, I am going to my freezer to take our some oxtails to defrost now. Thanks again for the inspiration. 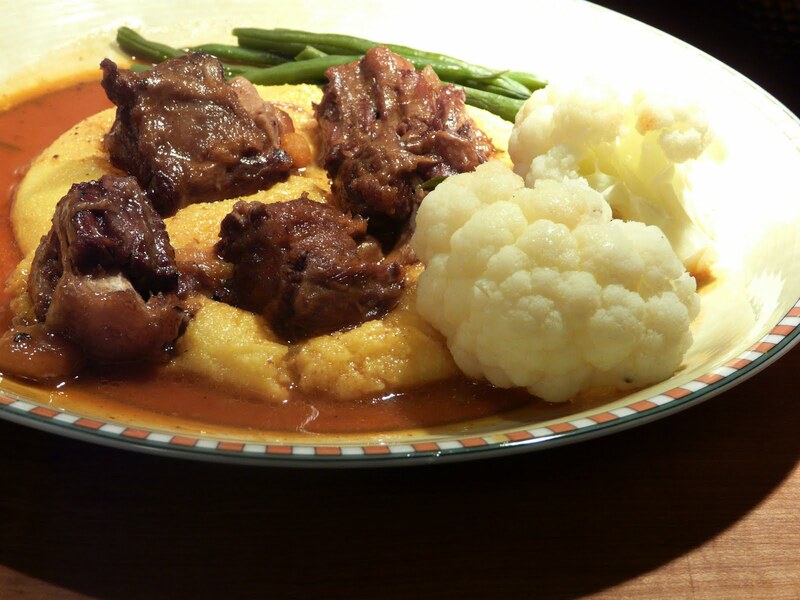 I love oxtails, too, but I have always prepared them (and eaten them) in a soup. 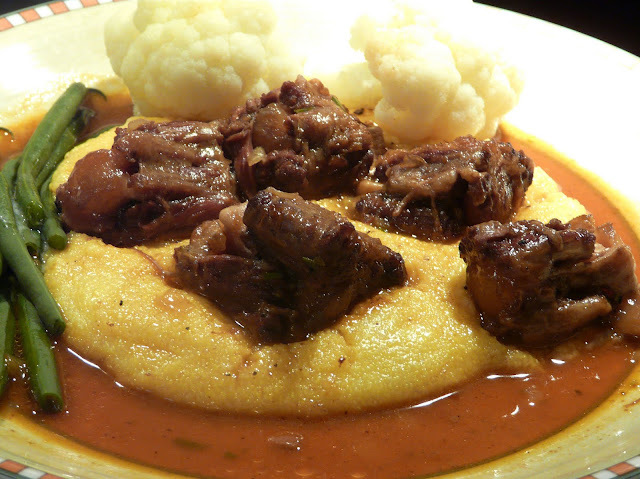 Braised, over polenta? I cannot resist. I just have to wait for a somewhat cooler day (we are in Southern California) and it's on! Thanks!